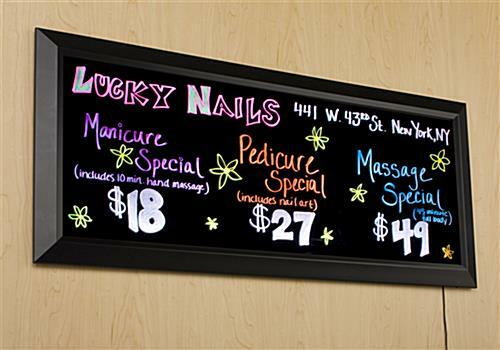 This LED-Lit Sign Supply With Wall Brackets Can Be Mounted Vertically or Horizontally! 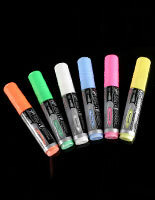 Comes With Neon Colored Markers to Make Stand Out Advertisements! 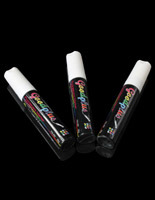 Purchase Sign Supplies Online Today! 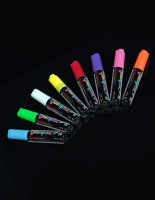 Set of 8 markers included with neon writing board, for shopping convenience! Includes hardware for wall or ceiling-mounting! 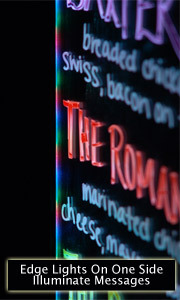 42"w x 18"h neon message board has 13 different lighting effects to accommodate various tastes! Dry cloth included for easy cleaning! The black writing surface and border matches most environments. 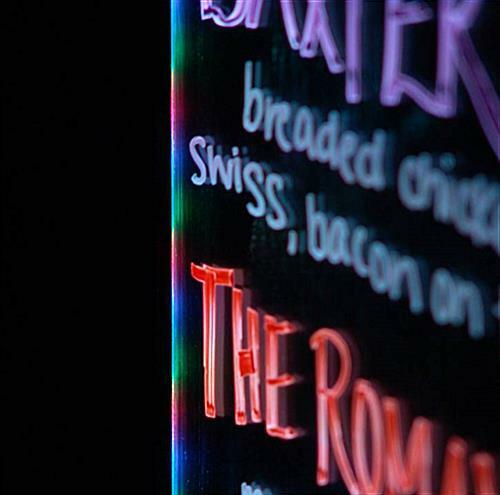 This LED edge-illuminated signage, vibrant sign supply for businesses comes with eraser fabric and contains a black backer with a see-through overlay. The dark background lets the color from the provided fluorescent marker pens highly noticeable! Every sign supply is outfitted with several small, energy-capable LED lights (red, blue and green) concealed under one edge of the framing. These can be lit in thirteen (13) varying combos, producing a wide assortment of light patterns. To alter the flashing sequence on the sign supply, merely press the small button located on the side of the black frame. The video beneath demonstrates all the obtainable LED flash communication sign preferences. Tools are provided for both wall-affixing and suspension mounts. This suspended sign supply is becoming a sought after method of relaying facts to a goal audience! 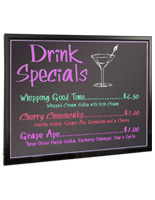 The sign is excellent for publicizing menu promotions, commercial sales, or other notices. This flashing sign supply that displays on cables, also recognized as a fluorescent exhibit, incorporates the advantages of other LED frames and write-on signage with the addition of being capable to alter the content as required. LED signs or illuminated displays can be either totally stationary in their publicizing, or need a new design and printing to alter the directive. This sign supply that hangs on a wall provides adaptability in changing advertisements! 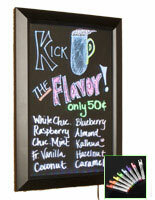 The extra-long design means these are the ideal showcases for a multitude of uses, like a menu board! 42.1" x 18.1" x 1.0"